I’ll admit, the first time I played through Dear Esther I was severely disappointed and a bit confused. I had expected this to be a survival horror since I’d heard that thechineseroom is also developing levels for the new Amnesia: A Machine for Pigs game coming out this summer. I found that Esther was lacking in what I had expected from a game. 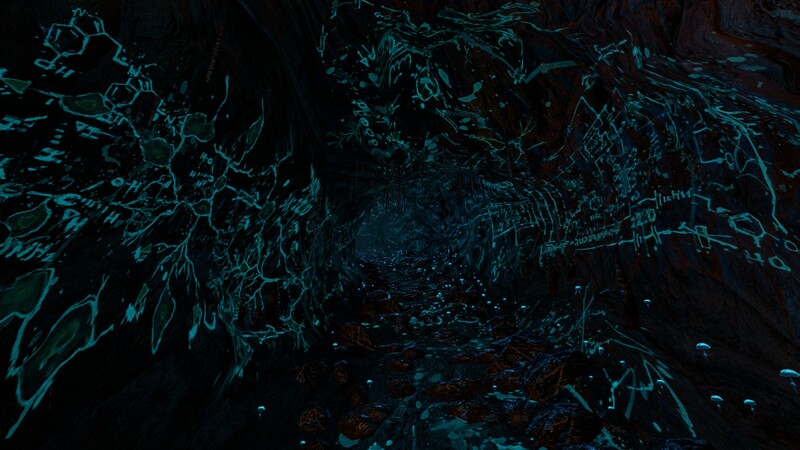 On the other hand, I found that Dear Esther wasn’t a game at all: It was a work of poetry. Dear Esther stretches the definition of the video game to its limits by only requiring its player to press the forward key and explore a beautifully crafted island off the shore of Scotland. For mysterious reasons, this Hebridean island is a burden for your unnamed narrator, and our goal as players is to discover why. 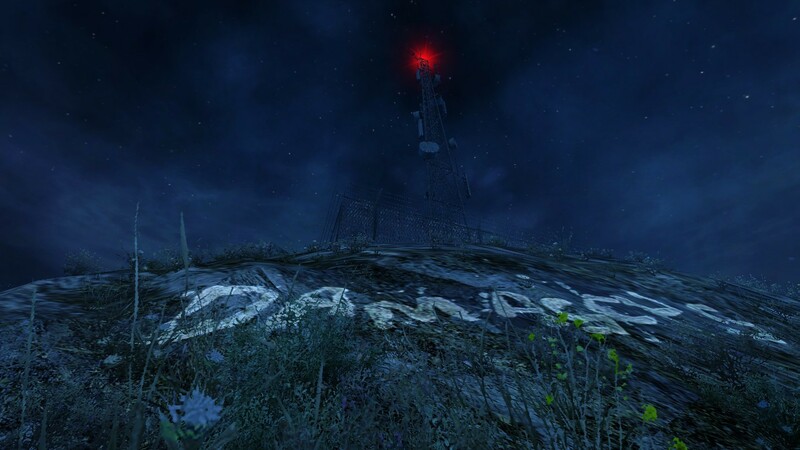 Created as a mod of Half-Life 2, Dear Esther has little to offer in your control of the environment; there is no ability to jump, run, or even crouch on your own. Nevertheless, there is so much to experience and observe in the terrain and the text that only one playthrough simply isn’t enough to grasp the full effect of Esther’s story. The atmosphere created by the music is just as awe-inspiring as it is eerie; these soundtracks add significance and complexity to your journey around the island. Unlike most game soundtracks, these songs do not simply provide a mood—they cue the audience to an important event, being that these songs are often the only obvious things that change as we progress through the game. The music is the source of empathy and perspective when we are alerted of a new piece of the narrator’s tragedy. There are several references to the Bible and to old myths regarding island that are found in the writings of Donnelly, a dying writer from the 1700’s. These writings insist an image of an earlier age that clashes with artifacts of modernism: chain linked fences, the remains of a wrecked automobile, and a haunting radio tower that can be seen from nearly all parts of the island. This juxtaposition of time periods suggests seclusion that the narrator must feel from the rest of the world. Some have read into this as a sign that the narrator has gone mad at the loss of his Esther, and therefore has run off to the deserted island seeking solitude as he lives out the rest of his life. 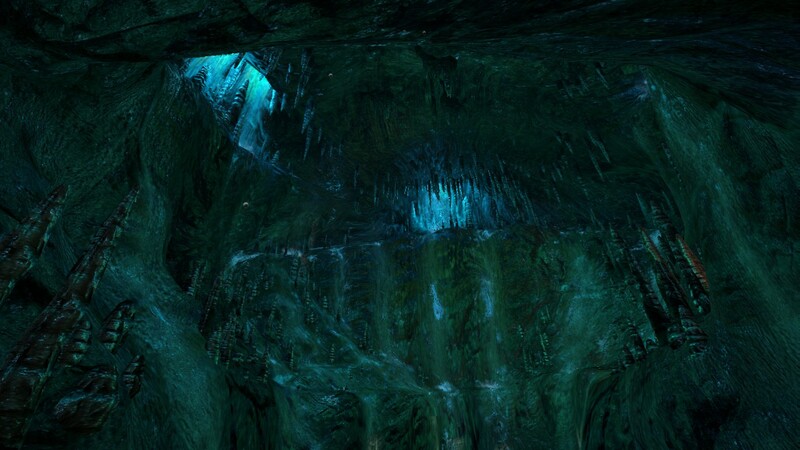 Other important details to acknowledge are several paintings on the walls of caves and mountainsides, whose creator is kept a mystery to the player. Some depict the chemical structure for alcohol, some are electrical diagrams, and some are detailed sketches of brain cells. Later in the game these diagrams become combined: the alcohol is one with the brain cells surrounded by electrical wiring. According to a blogger for Digital Racontueurs, this is a direct reference to how Esther died—a drunken car accident caused by the narrator. Critical analysis such as this may be a simplified approach to an complicated and abstract topic, but it nevertheless strengthens the idea that this game must be viewed as something more than a piece of virtual entertainment. Utilizing Ian Bogost’s term “procedural rhetoric,” that he specifically defines as ”process intensive– [the works] rely primarily on computational rules to produce their artistic meaning,” Dear Esther’s proceduralism could be doubted because it relies so heavily on script. 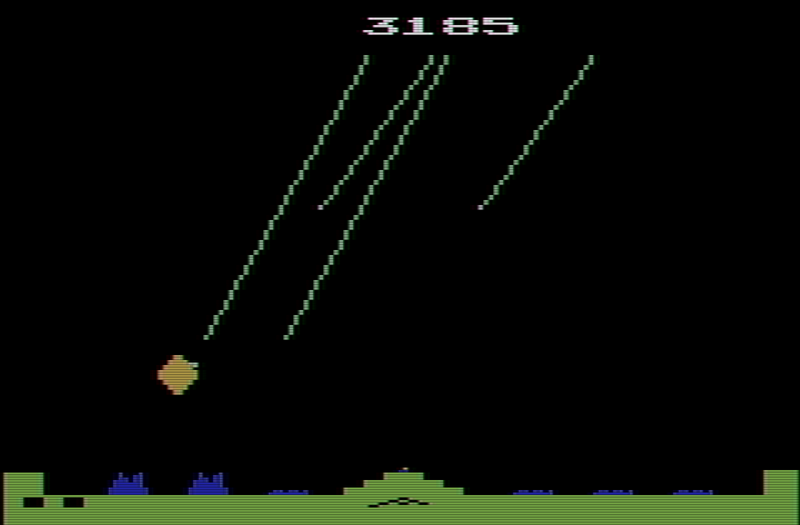 However, it maintains the notion that the player’s action does in fact enforce what happens to your character by subtly changing the scenario depending on how you play the game (i.e., how fast you travel from each level, where you choose to stop and look), thus explaining the primary usage of the procedure to express meaning. It is also significant to observe that although the mechanics are simplified, it is hard to break Huizinga’s “magic circle” once it is entered– the developers were sure to make every accidental death and loading screen, which would normally create distance between the player and the game, all part of the experience, often adding more to the poetry. It would be easy to toss this game aside and call it a day if it weren’t so heartbreaking. Sure, the plot is a bit obscure, but something in its obscurity drives the player to endeavor in the search for what took Esther away from your character, why his boat and his island is “without a bottom”, why his infection is “more than of the flesh.” In the end, as the narrator asks “Who was Jacobson, who remembers him? Donnelly has written of him, but who was Donnelly, who remembers him?” I myself wondered the same thing because their presence appears irrelevant unless one pays close attention to everything said. Only when I, the player, make my own assumptions based on the text is the meaning of my travel to the broken radio transmitter clear. As Ian Bogost mentions in “Art,” the argument that video games are considered art is a complicated one that some would consider futile. But with pieces as remarkable as Dear Esther, how can we not consider the medium when addressing the “what-is-art” question? perhaps not all games are art, but Dear Esther is without a doubt. I imagine from your screenshots that you played the updated version of the game? 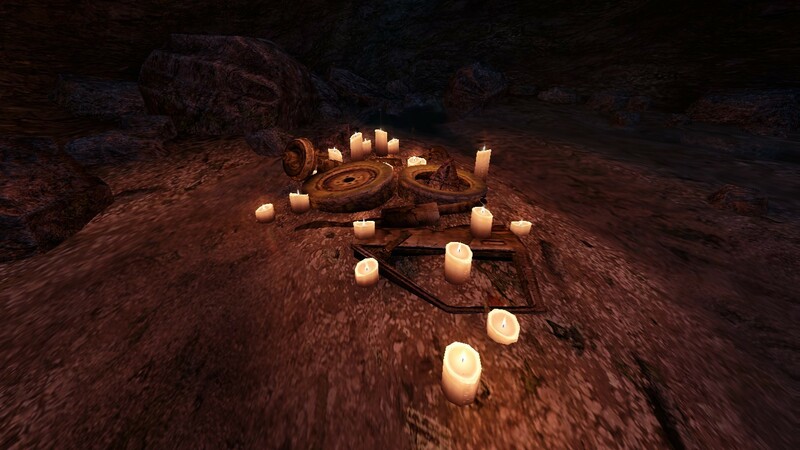 Dear Esther was actually released in 2008 on a mod of Valve’s source engine (as you noted). I’ve never gotten the chance to play the original, but it would be interesting to compare them. For a game that relies so heavily on aesthetics, I would have to think it would be quite a dated experience at this point. I wonder if the story and locations are constructed in the same way. I agree that Dear Esther is a work of art, but not necessarily more so than many other games. I think it is a particularly unique experience that caters itself better towards traditional artistic notions than many modern videogames, allowing it to be more easily appreciated by those outside of the industry. As in, Roger Ebert would have a tougher time arguing against Dear Esther’s artistic aspirations than a more mainstream title. I haven’t gotten a chance to play the original yet either, but I’ve heard great things about that one as well. Now that you mention it, I would definitely be interested in looking at them both to see how much the visuals have helped this piece. And I do agree with what you say about Dear Esther not being more artistic than other games, so to speak. However, it is unique in both its story setup and game mechanics, and that alone sets it apart from most titles. In the last line of my blog, I just meant to say that Esther is a great example of a work of art with a procedural medium, not that it is more significant than any other. Thank you for pointing that out so that I could clarify! This is some good blogging right here, adding one more argument that I need to get around to playing Dear Esther myself. Thanks! Definitely play it! I felt that this was pretty relevant to our class discussions, particularly those at the beginning of the semester.